The imagery may have inspired the actual black metal and death metal scenes, but the music on Black Metal has little to do with either future genre. 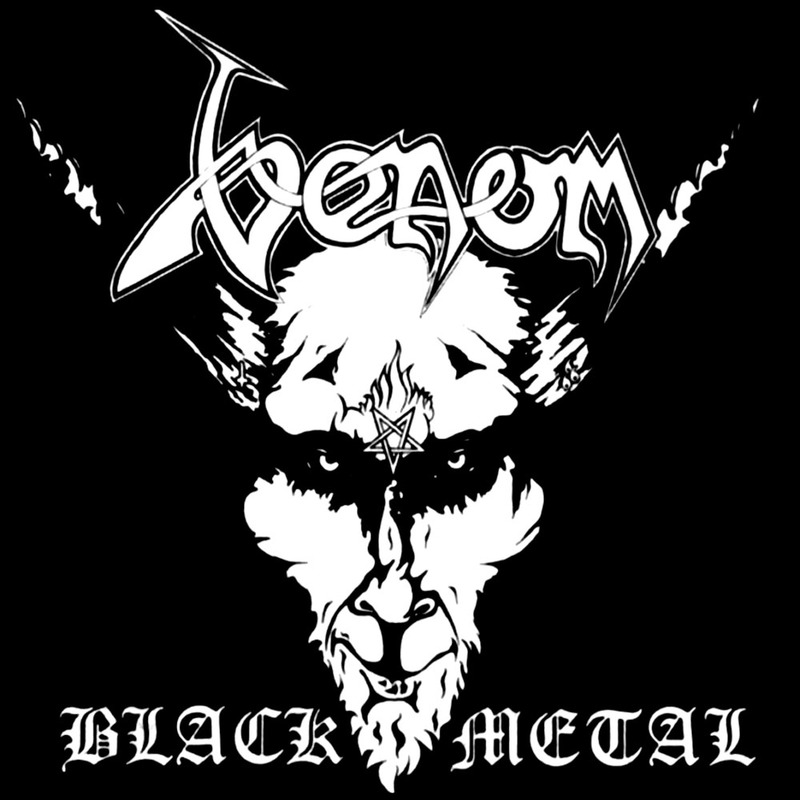 Venom's music is basic rock'n'metal played at speed, and played badly. Riding on the coattails of the New Wave Of British Heavy Metal but not possessing the talent to actually compete, Venom sound mostly like Motorhead having a bad day experimenting with punk elements, although those are much more due to extremely rudimentary instrument skills rather than an actual belief in the punk ethic. Together the speed and rawness of the material combine to plant the seed of thrash, while the devil-obsessed lyrics caused shock and horror among the easily influenced. To complain about the production values on Black Metal is to pretend that there are any. Black Metal is not under-produced; it is not produced. This is a studio album that sounds like it was recorded live, in one take, on a retail cassette deck, picked-up at a back-alley El Cheapo Audio store. None of which is to say that the music is not interesting. It is simply not ready. With better execution, improved polish, and dramatically better production, Black Metal would be an enjoyable gem. As history unfolded, it's an annoying curiosity, an album of influence but with no enduring quality. Produced by Keith Nichol and Venom.